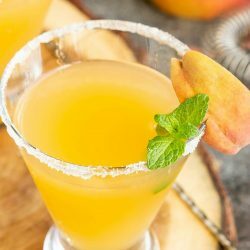 Peach Bellini Martini with vodka, peach schnapps, and peach nectar makes the perfect refreshing cocktail for a warm afternoon or a fancy brunch. 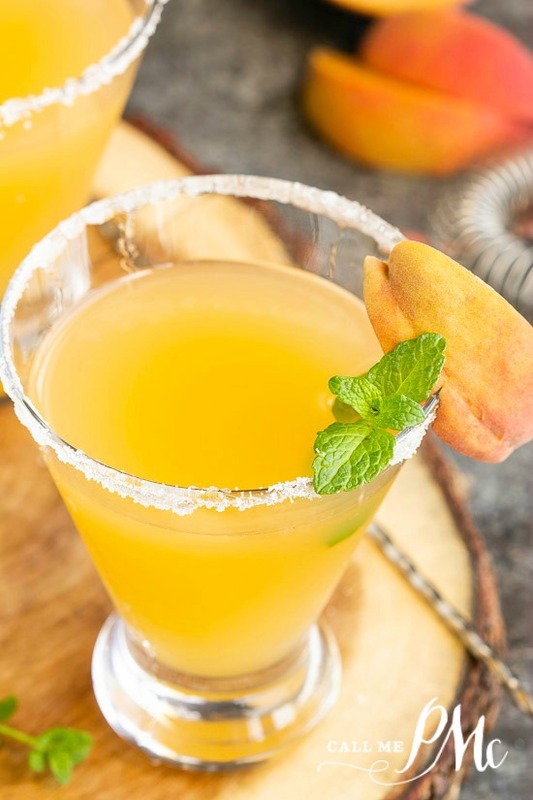 Take full advantage of peach season with this simple and delicious cocktail recipe! 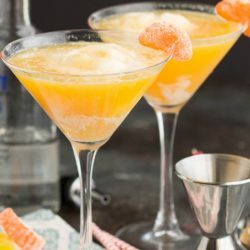 A Bellini is a cocktail traditionally made with Prosecco and peach purée or nectar. It originated in Venice, Italy. It was created in the mid-1900s by Giuseppe Cipriani. 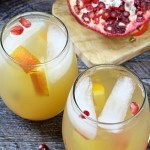 He was the founder of Harry’s Bar and created the cocktail during the local four-month-long peach season. 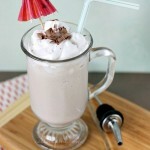 He mixed one part ripe white peach purée with two parts prosecco to create the light pink drink. The beautiful hue reminded him of a color he’d seen in a painting by Giovanni Bellini, and the Bellini cocktail was born. I varied from the traditional with my Bellini and used vodka instead of Prosecco. Feel free to substitute Prosecco or champagne, if you want. Additionally, because it wasn’t peach season when I made this, I used peach nectar instead of peach puree. To make peach puree, purée the fruit with a little lemon juice then strain. Refrigerate it until you’re ready to use. Or, you can freeze the mixture for later. This bubbly booze is light and refreshing. It’s great for brunch. 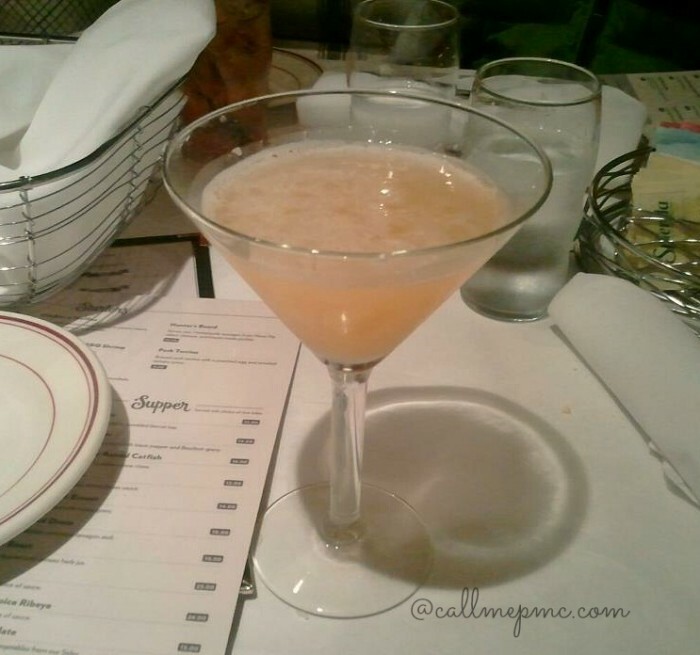 This is a picture of (one) of the martinis I had at South….because that’s what I do, take pics of my food and drinks! 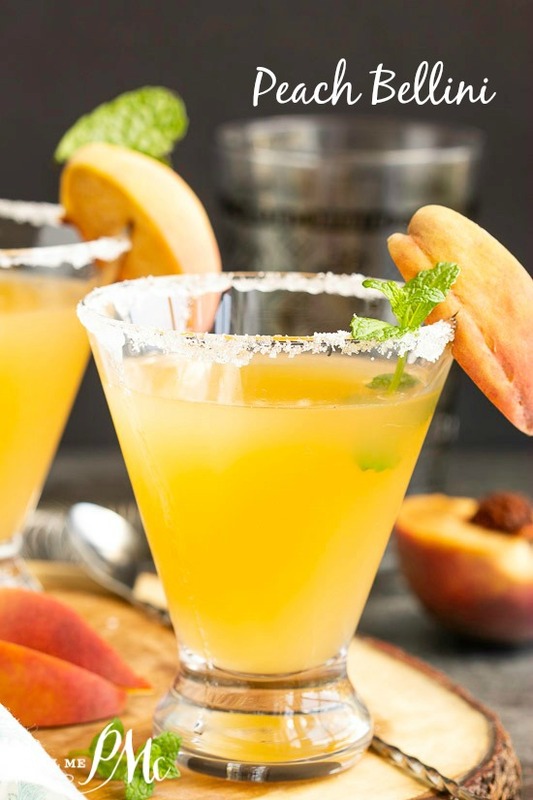 Elegant and easy to make, my version of Peach Bellini Martini is the perfect ending to a perfect Summer day. Moisten rim of chilled martini glass then roll in sugar. Add ice, vodka, peach schnapps and peach nectar to a shaker. Shake vigorously 30 seconds. 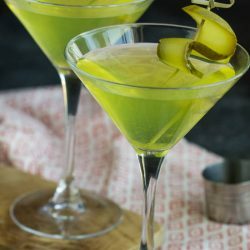 Strain into martini glass. 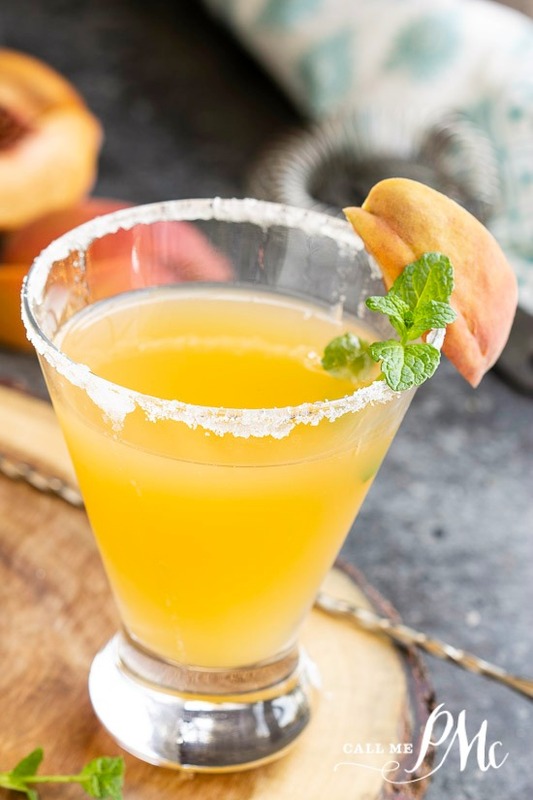 Float peach wedge in martini and Enjoy!! 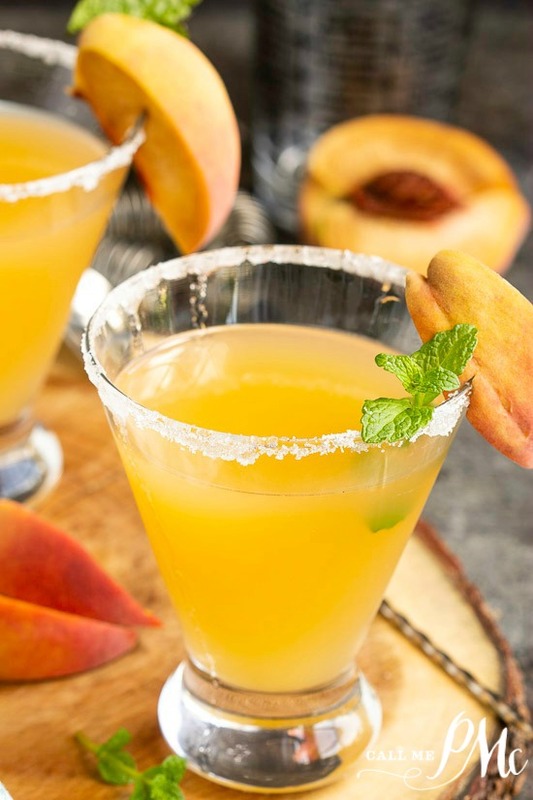 Paula, Peach Bellinis are the best–especially if you’re drinking one at Harry’s Bar in Venice, Italy, where Ernest Hemingway spent a lot of time at his friend’s bar. I haven’t had these in many years. Thank you for reminding me what a fabulous brunch drink it is! Best wishes to you and your family for a Merry Christmas and Happy, Healthy New Year! It’s so pretty! Perfect birthday drink! Thank you, it’s SOOO good 🙂 Thanks for stopping by. Paula, I always take pictures of my drinks too!! 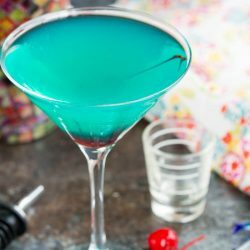 Thank you so much for making this cocktail for my birthday! Pinned and will be sharing on FB on Sunday! Oh, can I have one now at 8:18 a.m.? Looks so good! Pinned! 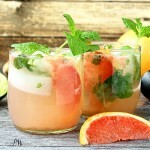 Paula, yahoo, a great drink for the party! 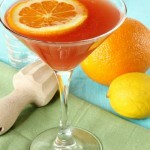 Love Bellini’s and this looks fabulous! So much fun seeing what everyone brings to Meghan’s party. Pinning and have a great weekend!